I recently caught this tip on the weekend show “The Kitchen” and I wondered, why didn’t I think of that? I didn’t want to run the oven the other day as it was hot outside and I had my son Andrew coming over for dinner. He’s a pretty good eater and appreciates a good meal, so I like to find some fillers too. 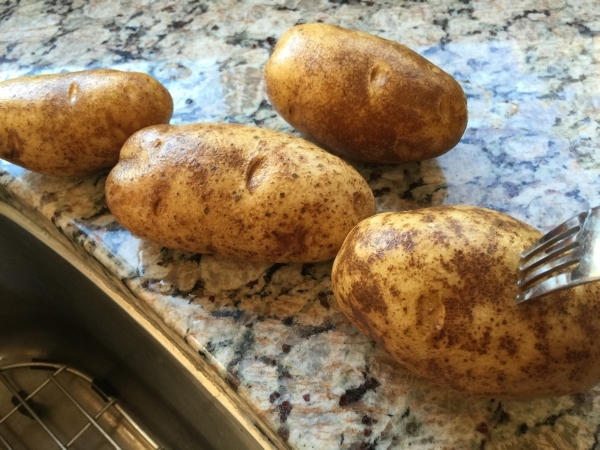 Who doesn’t have potatoes on hand? This is a super easy way to bake potatoes without heating up the kitchen; and there is little to no work! Give this method a try. You won’t be disappointed! Scrub the potatoes well and prick each one with a fork several times. 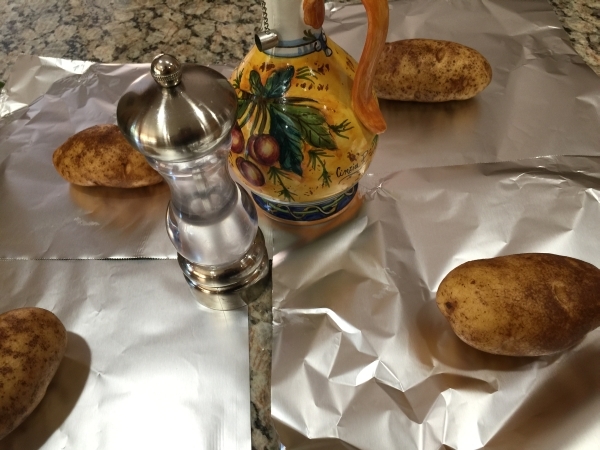 Rub each potatoes with olive oil and sprinkle with salt. 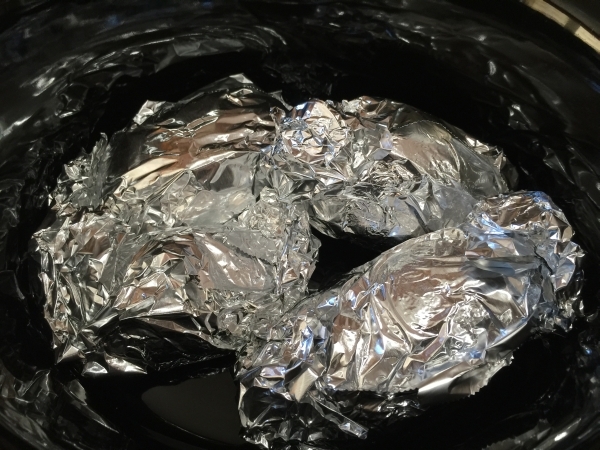 Then wrap each potato tightly in individual foil squares. 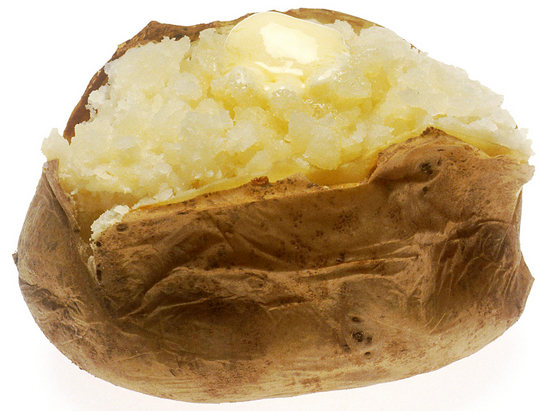 Place the potatoes into a slow cooker and cover. Cook on High for about four to five hours, until they are tender. That’s it! 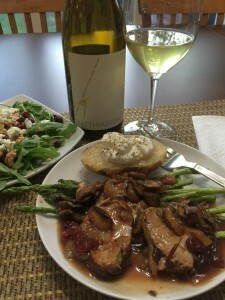 We enjoyed our easy “baked potatoes” along side of a pork tenderloin and asparagus spears that I cooked on the grill, that was topped with my pork cranberry gravy and mushrooms! Bill paired this meal with a refreshing 2013 Chardonnay by Matthiasson; Sonoma Coast. Wonderful!